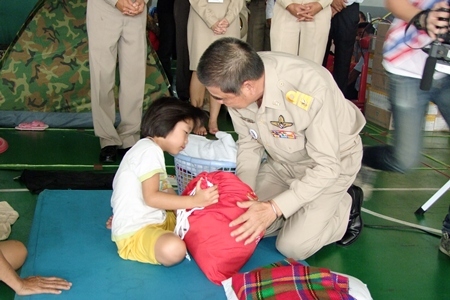 A representative of HRH Princess Ubolratana visited Chonburi’s temporary relief center for Bangkok flood victims. 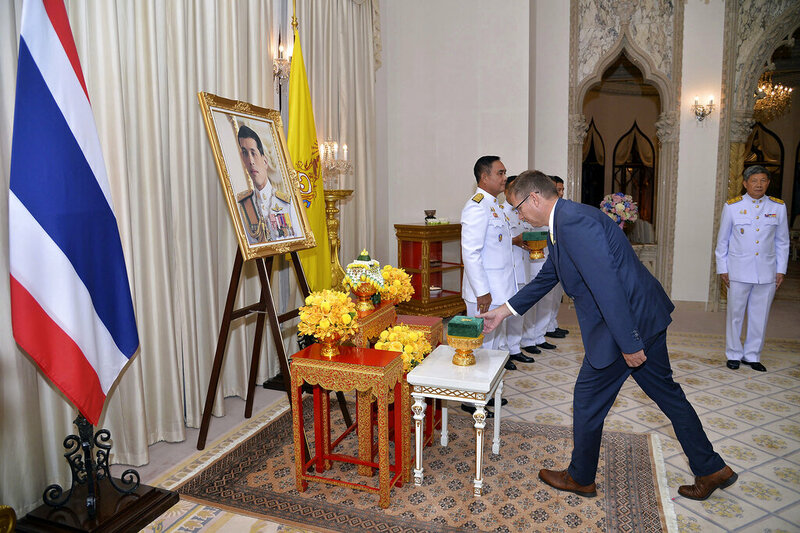 Royal Secretary Theerachai Wutham presented Chonburi Gov. Wichit Chatpaisit a donation of drinking water, milk and other relief supplies Nov. 11 at the Miracle of Life Foundation she sponsors. 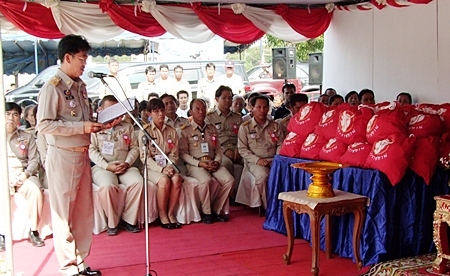 Royal Secretary Theerachai Wutham pays a visit to Chonburi’s temporary relief center for Bangkok flood victims. Wichit said the province is expanding its efforts to help flood evacuees after initially opening 12 relocation centers to accommodate 10,000 refugees. 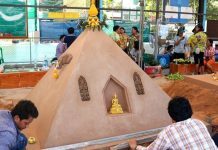 More centers, he said, have been prepared in Sriracha, Banglamung and Sattahip.